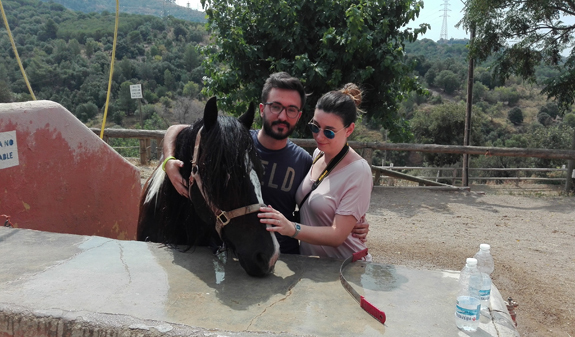 This is the perfect activity for nature lovers who feel like taking a break in the open air not far from the city. 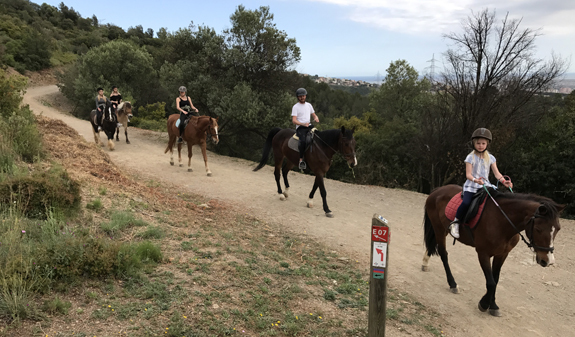 Come horse riding in the Collserola Natural Park (just 20 minutes from the centre of Barcelona) and enjoy views of the city on a private trekking trail. At 9am your guide will pick you up from the entrance of your hotel in our modern, comfortable people carrier and drive you to the riding centre. Following this initial contact, and according to your level, you'll begin your trek along the hillside, through forests of pines, holm oaks and carob trees, while you enjoy the natural scenery. 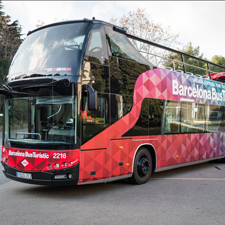 We'll stop off to enjoy the views of Barcelona and, should you wish, take photographs as a memento of your day out. 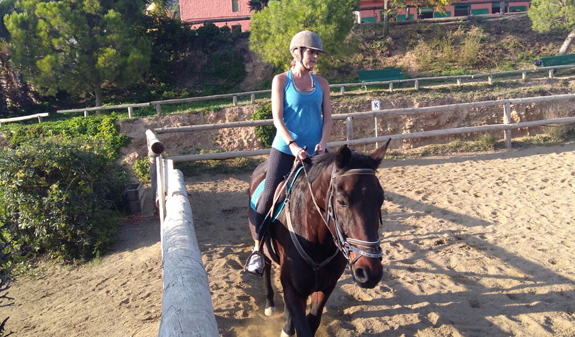 After the ride, you'll remove the saddles and tend to your horses before taking them back to the paddock and enjoying a rest on the terrace with a drink and a snack. Around 1.30pm your guide will take you back to your hotel anywhere in the city. Horse or pony to suit your abilities. Qualified instructor who will teach you how to prepare, mount and guide your horse. We only have English-style saddles. 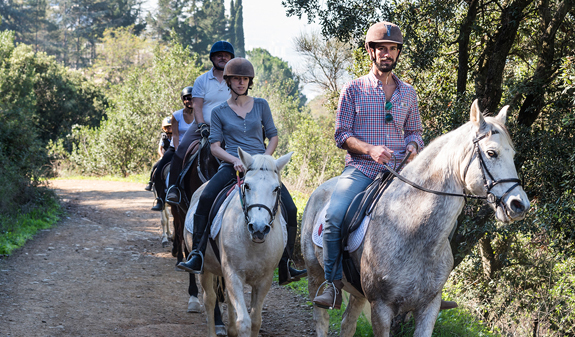 Equestrian trail through the natural park. 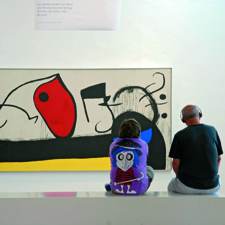 Times: daily, except Saturday, from 9am to 1.30pm. July and August, daily. Closed: 1/1, 6/1, 30/3, 2/4, 1/5, 24/6, 25/12 and 26/12. Meeting Point: Once you have made your booking, the riding centre will contact you by email to find out the address of your hotel or accommodation and to arrange a pick-up time. Please provide a valid email address. For safety reasons, the route will always be adapted to the least-experienced riders (the route is designed so you can enjoy the views: it will be done at a trot or slow pace). The maximum permitted weight in order to ride is 90kg. It is important to bear this in mind before you book because you won't be entitled to a refund if you exceed this weight. You must wear suitable clothing: long-sleeved T-shirt, long trousers and suitable shoes for mountainous areas with a non-slip sole (mountain boots, trainers or similar footwear). Anyone who isn't wearing suitable clothing, or appears to be under the influence of alcohol or drugs will not be entitled to refund. 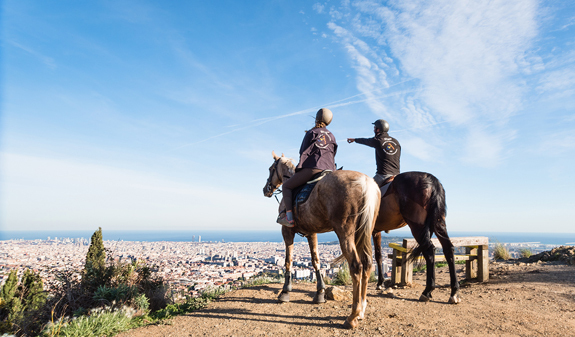 We recommend you wear sunscreen from April to September and a waterproof if it is cloudy* as well as a jacket or softshell (the temperature on Collserola is a few degrees cooler than it is in the city). Expectant mothers are advised not to ride. You must bring ID (identity card, photocard driving licence, passport). *The tour will still go ahead if it rains.